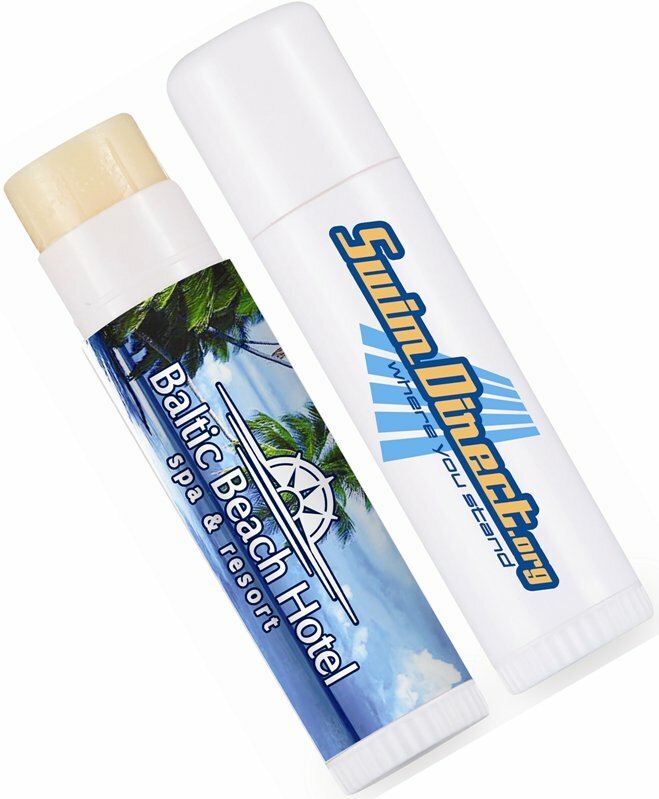 Get your logo printed on promotional Pocket Stick Sun Screen for marketing. scent .70 oz. SPF 30 Sun Screen. PABA free, FDA approved. Overall size of the stick is 3 3/4 high x 13/16 diameter. Price includes almost unlimited print colors in area 2 1/8" w x 1 3/4" h.
We run a summer and winter mountain resort. Wintertime mostly towards skiing. Every winter we tell all of our guests to bring Sun Screen with them. Most do not and end up with sunburn from snow reflection. This year I decided to include our own sunscreen with our full color picture of the lodge and our phone-website printed on it. I have to give credit where credit is due. My idea however the folks at Promotional Items, Inc. did an excellent job on the printing and the SPF 30 sunscreen was used and appreciated by all the guests. Handy too, fits right a pocket. I am proud of my idea and a satisfied customer.